This course is held in conjunction with the 2019 Annual Conference. This course clearly articulates the eight stage process for real estate development and reuse. Specifically, course participants will learn the fundamentals of market and site analysis, financial feasibility, and what political considerations are required to move a development project from conception to realization. Additionally, this course will cover a wide variety of financing tools that are available at the local, regional, and state levels, including tax increment financing, bond financing, tax credits, tax abatements, land assembly, and brownfield redevelopment. Multiple in-class case studies will be used to help participants work through actual financial and regulatory problems. During this session, attendees will be introduced to the basics of real estate development and reuse. Participants will be introduced to development process and the roles of the private and public sector and non-profits. Expectations and objectives will be set for the next two days and attendees will be given the opportunity to introduce themselves to the class. In this session, participants will learn about two key aspects of development feasibility: market and site analysis. Taking place before a development project is underway, these studies help determine whether a project is a “go” or “no-go.” Participants will look at the various assumptions and inputs that make up a market analysis. The session will also examine how site features and constraints can affect a development project. During this session, participants will learn how the current economic climate is affecting real estate development projects. Interest rates, rental rates and equity requirements will be examined. This session continues the morning feasibility session with an in-depth look at how to analyze the financial feasibility of a development project. Specifically, participants will learn about the various elements of an operating pro forma, including calculating net operating income and cash flow. Participants will also look at debt and equity financing, as well as how to evaluate a project's return to the investor(s). This session will be very interactive, with participants applying these tools to an actual case study. *Participants are asked to bring a calculator to this session. This session provides an overview of local development financing such as tax abatements, bond financing, tax increment financing, special improvement districts and the provision of public infrastructure. In this session, participants will gauge the strengths and weaknesses of these various mechanisms. It will also include redevelopment areas, land assembly, sale-leasebacks and density bonuses. Economic developers are often called upon to facilitate or expedite the public approval process. This session will explore the public sector's regulatory role in land development, focusing on zoning, subdivision and other regulatory constraints and hurdles. While a proposed project may meet market and financial tests, it is not truly feasible unless it has political and community support. In this session, participants will tackle how to assess political support, involve the community and promote the project's value to stakeholders. Land contamination, whether real or perceived, is a major reason many properties are not being put to their highest and best use. During this session attendees will be introduced to brownfields assessment and regulation and various programs and incentives for brownfields redevelopment. In this session, participants will split into groups to tackle real life development opportunities. Drawing on knowledge from the previous sessions, attendees will determine the best practices for approaching a real estate deal. This session provides an in-depth look at developer Request for Proposals (RFP). Participants will discuss proposal evaluation, negotiations and the development and disposition agreement. 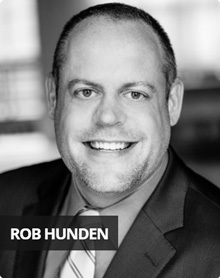 Mr. Hunden and his Chicago-based firm offer extensive experience in the economics and strategy of developing transformative real estate projects. He has provided economic development, finance, feasibility, impact, developer selection and planning expertise for more than 400 projects and studies over the past 20+ years, totaling more than $3.5 billion in developed real estate. The firm completes approximately 50 assignments per year with its 12-person professional staff. His expertise has helped communities and developers understand, develop and successfully open catalytic economic development projects, including entertainment districts, sports facilities, arenas, performing arts centers, conference and convention centers, and compelling hotels across the country. He has worked on a number of compelling development projects, such as the expansion of Navy Pier and the Chicago Riverwalk, the Kansas City Power & Light District in Kansas City, the Ark Encounter in Kentucky, the District in San Juan, an NFL Stadium & Convention Center in San Diego, and transformative projects like Hance Park and Wild Horse Pass in Phoenix. HSP has also developed the DestinationYOU Scorecard and manages the ALSD Sports Facility Database, among other ongoing research and products. Hunden's background in economic development, tourism development and destination development combine to make him a unique resource for communities and developers looking to advance their destinations and projects in a feasible and viable way, learning from the successes, failures and trends impacting entertainment, retail, restaurant and related destination developments. Bob recently retired after 30 years with Development Strategies in St. Louis and 12 prior years with Team Four and the St. Louis County Department of Planning. He directed economic development, planning, and implementation assignments and was part of the team that created Development Strategies in 1988. The focus of Bob's professional work was analyzing the market, economic, and organizational forces that influence urban development and economic growth. Clients included state and local governments, private property owners, real estate developers, corporations, government agencies, non-profits, and large institutions all around the USA. 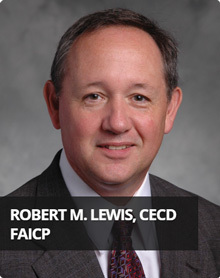 A native of Glencoe, Illinois, in the Chicago area, Bob holds a master's degree in city and regional planning from Southern Illi­nois University at Edwardsville (1976) and a bachelor's degree in business economics from Miami University in Oxford, Ohio (1973). Deborah joined Cushman and Wakefield | EGS Commercial Real Estate (C&W | EGS) in 2008 and is an active member of the C&W | EGS Industrial Brokerage Tenant Representation Team for Alabama. She specializes in industrial and land brokerage, real estate consulting and leasing and brings a unique skill set to her clients due to her extensive background in the public sector and economic development. Since Joining C&W | EGS, Deborah has been involved in the disposition of over three million SF of industrial buildings and worked on several high profile site selection requirements. Deborah also uses her land expertise to help clients with industrial and retail land development. 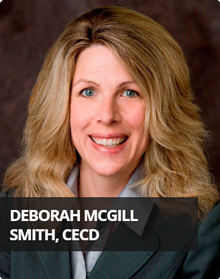 Prior to joining C&W | EGS, Deborah spent seventeen years in economic development, This included her position as Executive Director of the Jefferson County Economic and Industrial Development Authority (JCEIDA) where she led the development of the McCalla and Lakeshore Jefferson Metropolitan Parks, creating close to $1 billion in capital investment and securing numerous companies including OfficeMax, Home Depot, McKessen Pharmaceuticals, and Magna, as well as data centers for Wells Fargo (formerly Wachovia), Southern Company and Blue Cross / Blue Shield. Deborah is a Certified Economic Developer and has recently completed two terms as a national Board member for the National Association of Industrial and Office Properties (NAIOP). This course meets the professional development requirements for the Certified Economic Developer (CEcD) exam. CEcDs earn recertification credits for participating. Training course attendees will have their choice of three different Marriott Brand Hotels, all under one roof! The Marriott Indy Place offers the following rooms and rates, just for training course attendees. *Walk-in registrations will be accepted. Full payment must be made on-site in order to attend the course. ** Copy of current transcript required. Individual paying by credit card: Click this button if you are registering as an individual IEDC member or nonmember and paying by credit card. Partner, group or individual paying by credit card, check or purchase order: Click this button to download a form (PDF) if you are paying by check or purchase order. Form must be faxed or mailed, and accompanied by payment. Should you have difficulty registering online, please download the course registration form (PDF). Refunds less a $75 cancellation fee will be issued for all cancellations received in writing to fax: (202) 223-4745 or email: prodev@iedconline.org at least 10 business days prior to the course - please allow 3-4 weeks. All registrations regardless of payment status are subject to the $75 cancellation fee. No refunds or credit transfers to a future course will be issued for cancellations received within 10 business days of the course. Telephone cancellations are not accepted. Attendee substitutions for a course may be made at any time prior to the course.